On paper Catlateral Damage sounds like the funniest game ever. You play as a cat and your objective is to knock stuff off of shelves and tables down onto the floor. You know, as cats like to do. It seems like a recipe for hilarious mayhem but it’s actually far more drab and bland and boring than you’d expect. The novelty of knocking crap over wears off after about two-minutes and you’re left only with regret and a $10 hole in your wallet. Continue reading our full Catlateral Damage for all of the details. 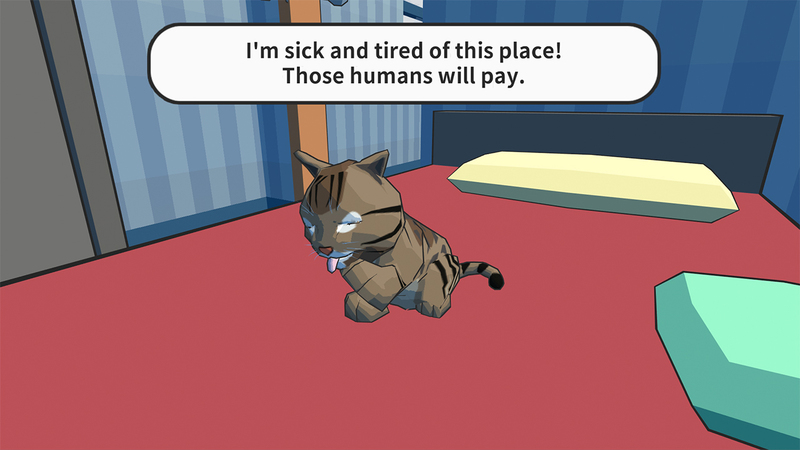 I’ll admit that my interest in Catlateral Damage was 100% because I love cats and can easily say they’re my favorite creatures on Earth (and they’re totally better than humans). Any game that features a cat is going to get my attention so Catlateral Damage seemed like a natural fit. Too bad it just isn’t any fun. You control your chosen cat – of which there are several, most of which are fairly cute, but all of them have weird underbites – in a first-person-perspective. You can jump surprisingly high to reach tabletops and shelves, poke or swipe with your front paws, and run around at blazing speed. And that’s it. You also can pick up upgrades that let you run faster and jump higher and cat harder. The objective is to knock as many items down onto the floor as you can within a time limit in each level. At first it is definitely silly and novel. The game controls remarkably well and actually feels pretty good overall to play. The problem is that it isn’t fun. The core concept is enjoyable for all of about one playthrough of one level and then it just gets boring. It is also stunningly challenging as the time limits can be pretty brutal and suddenly the goofy “knocking crap over simulator” gets difficult. 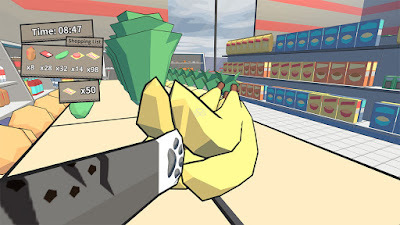 Most of the levels take place inside a common everyday household, but there are a couple of bonus levels in a grocery store and a museum that can be a bit more interesting. 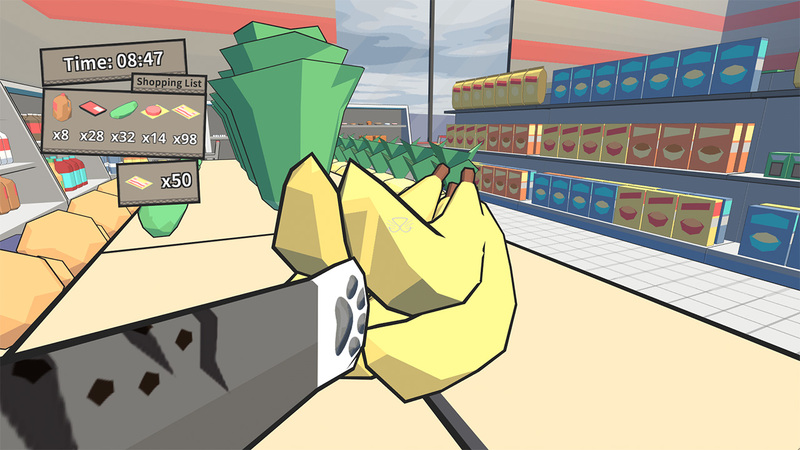 Overall, though, Catlateral Damage is just bland, boring, and not fun. The presentation is pretty lackluster as well. The environments look okay, but the cats are just sort of lumpy messes that you only really see at the beginning of each level as the camera pans around them. I’d like more cats, please. As mentioned before, they all have weird underbites where their teeth stick out and it looks weird. What’s up with that? One thing I do like are the real pictures of cats you can collect in each level that were provided by Kickstarter backers. Overall, Catlateral Damage is a dumb mindless waste (like a dog) that never evolves beyond its extremely shallow initial concept. I bought it on sale on PS4 for $3 (down from the normal $10 price) and still feel overwhelmingly disappointed. Skip it.